After years of feeling desperately self-conscious, brave Laura Masters has embraced her scars. 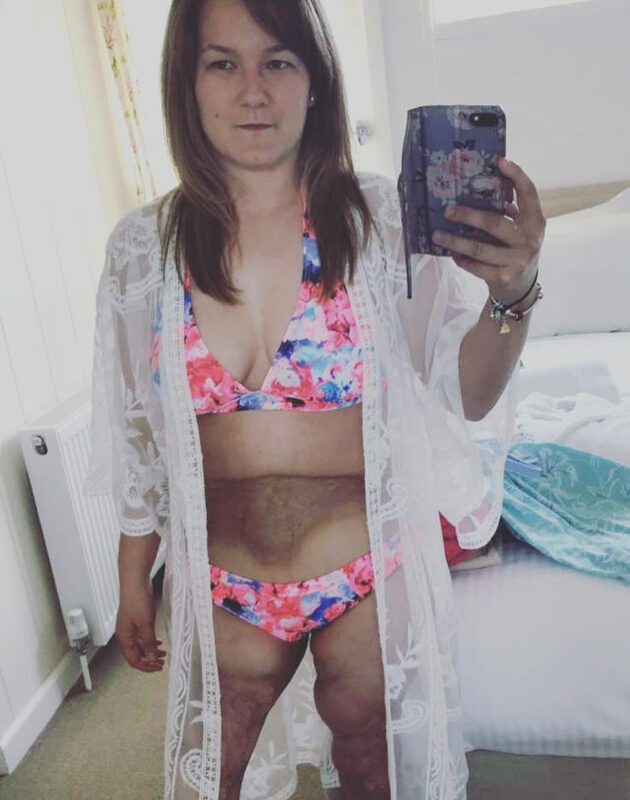 A burns survivor, who was put into a bathtub full of scalding hot water as a baby, has revealed she is having laser treatment to loosen the scarring on her stomach so that one day she can fulfil her dream of becoming a mum. 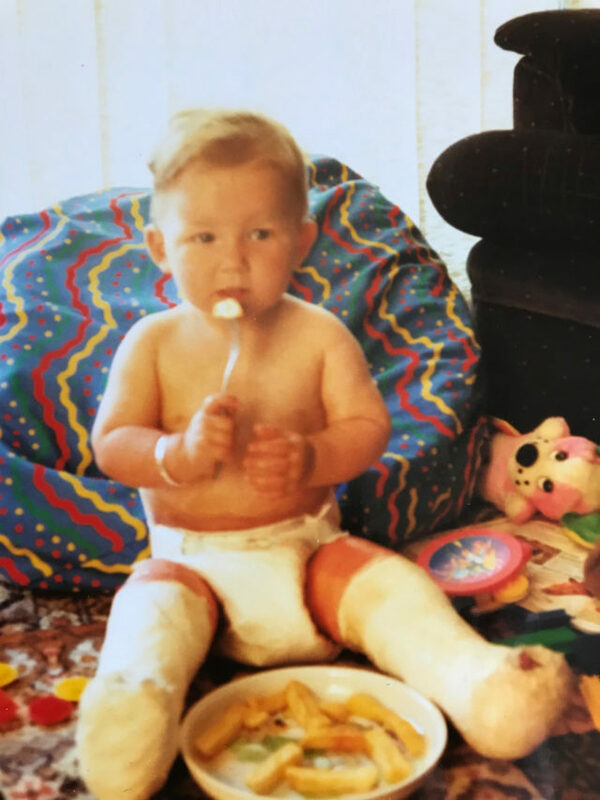 Laura Masters, 26, from Wales, was only 12 months old when she was burned from toe to waist after her biological mother’s boyfriend filled a bathtub with extremely hot water and put her in it. The healthcare assistant has had dozens of skin grafts and surgeries since the horrific incident and admits that many of her childhood memories have been obliterated by the trauma of the burns and the operations that followed. But it is because of what she has endured that Laura wants to have her own children one day. She said: “I want them to have a life that I haven’t had. I think I’m going to be a great parent and I want to give them the love that they deserve. Laura was fostered soon after she was scalded in the bath, eventually being legally adopted by the family when she was 13, and it was her adoptive mother – who she now calls Mum – who gradually told her what had happened. She said: “Mum told me that when I was little, I was put in a bath by a bad man, and that was it. 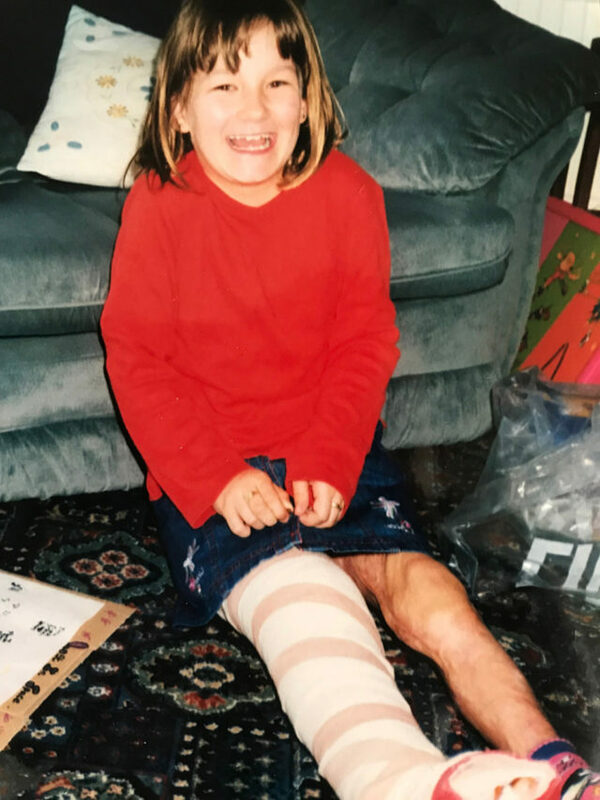 Laura, whose legs were “lobster red” spent three to four months in intensive care at St Lawrence’s Hospital in Chepstow, where she was treated for third degree burns. The man who did this to her was convicted of unlawfully inflicting grievous bodily harm with intent and child neglect at Cardiff Crown Court in September 1993 and sentenced to 12 years in jail. But for Laura, her ordeal was to last decades. 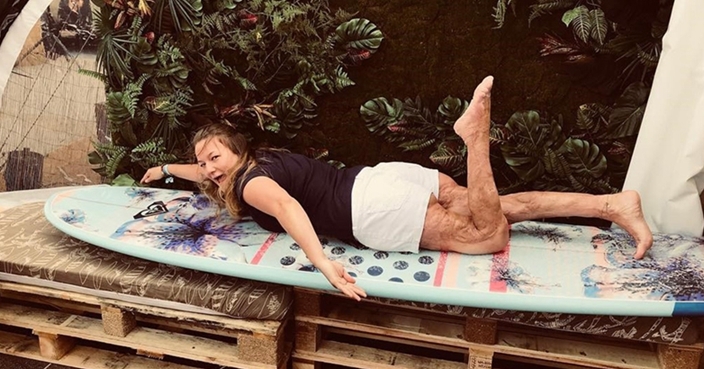 Between the ages of one and 18, she faced dozens of surgeries and skin grafts – including a stomach graft at age 11, which meant spending two months lying flat on her back in hospital to let it heal. She said: “Because I was burned from my toes to my waist, the surgeries were mainly to reconstruct my lower half. I can’t really count, there’s been so many of them. Most of Laura’s early years were a blur because she blanked them out. “I just blocked out the trauma and sometimes I can think back to my early childhood, but not a lot because much of it was in the hospital, so I think I just wiped it out. “I do feel a bit sad about it. I wish I had more memories of my childhood and remember the happy times, which I do sometimes but sometimes you can’t,” she continued. There were bright spots, though, for during primary school, Laura was helped in her struggles by other children who knew what she had been through. At the age of eight, she joined a burns support group, which she still belongs to – and best of all, her family agreed to adopt her. 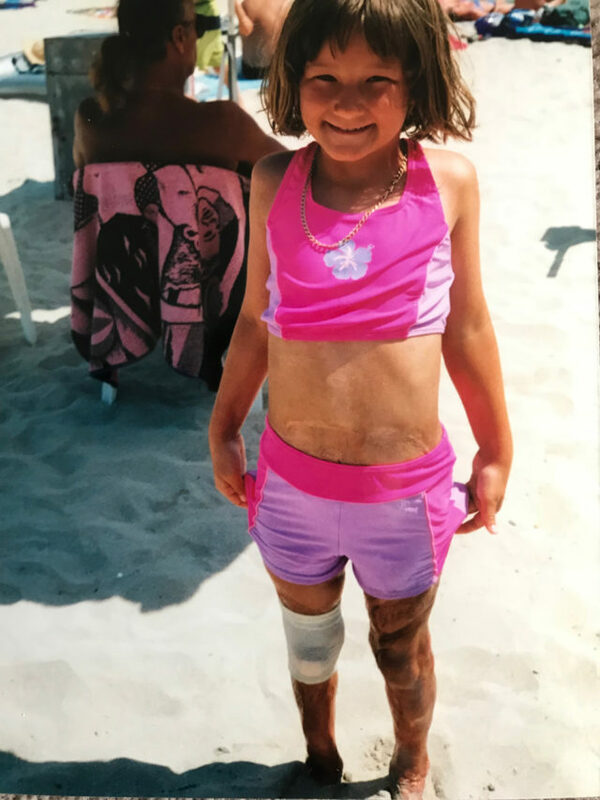 But when Laura started secondary school she began to feel more self-conscious about her scars. She recalled: “High school was hard because I wore a skirt when I started and I had a few people staring, they were from different junior schools. At 13, after the long process was completed, she was officially adopted by her family and set about forging happy memories with her mum, dad, brother and sister. They spent many happy weekends travelling around in their caravan and riding their bikes – though Laura always kept her legs well covered. 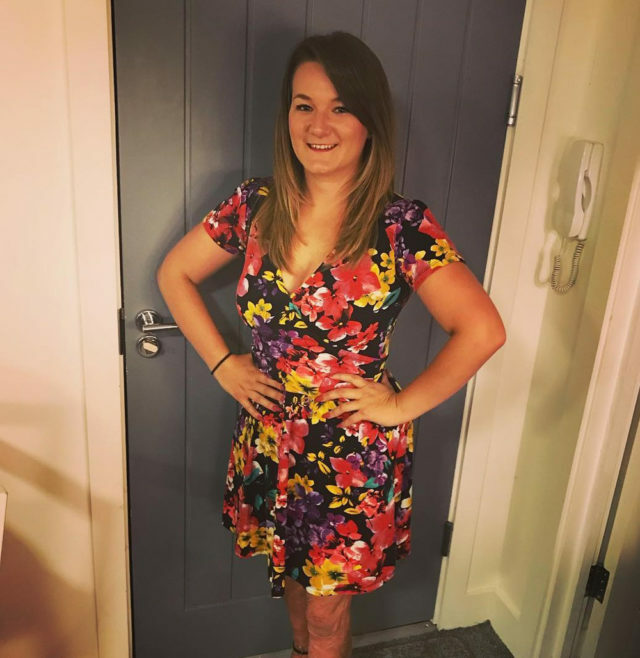 The turning point for her body confidence came when she was 18 and getting ready for a club night with friends. After years of hiding her scars, she took the plunge and decided to wear a dress for the first time since she was 11. That determination to lead a normal life also saw her have her final major operation, aged 18, under local anaesthetic – staying awake for the surgery meant she could recover more quickly and take her driving theory test the next morning. Nowadays, Laura is happy with the way she looks and is only having laser treatment on her stomach to loosen the skin so there is less risk of further damage if she gets pregnant in the future. Equally positive about her own life, she said: “I’m more confident than I’ve ever been. I’ve come to terms with everything and I’m happy with who I’ve become. 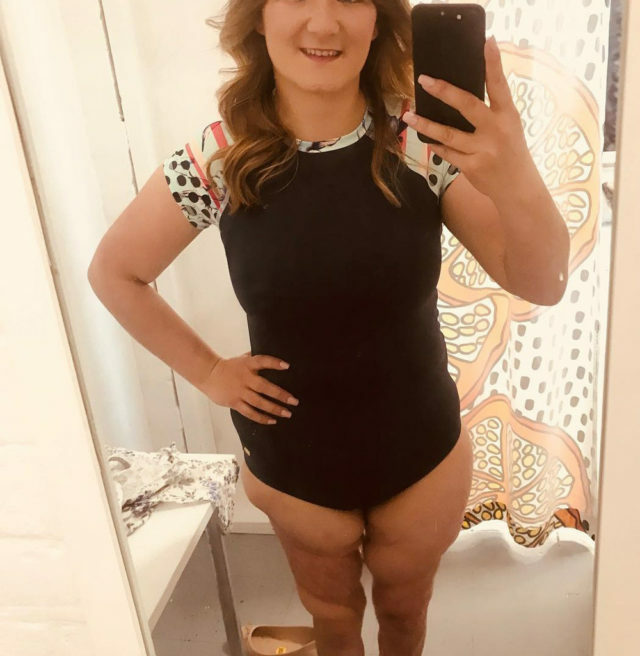 Able to wear shorts and dresses whenever she feels like it, she has also modelled for Sophie Mayanne’s Behind the Scars project – a photography campaign that celebrates scars of all shapes and sizes, and the incredible stories behind them. “This is me, this is who I am. I shouldn’t hide myself away. I should be talking openly and freely about it,” she said. 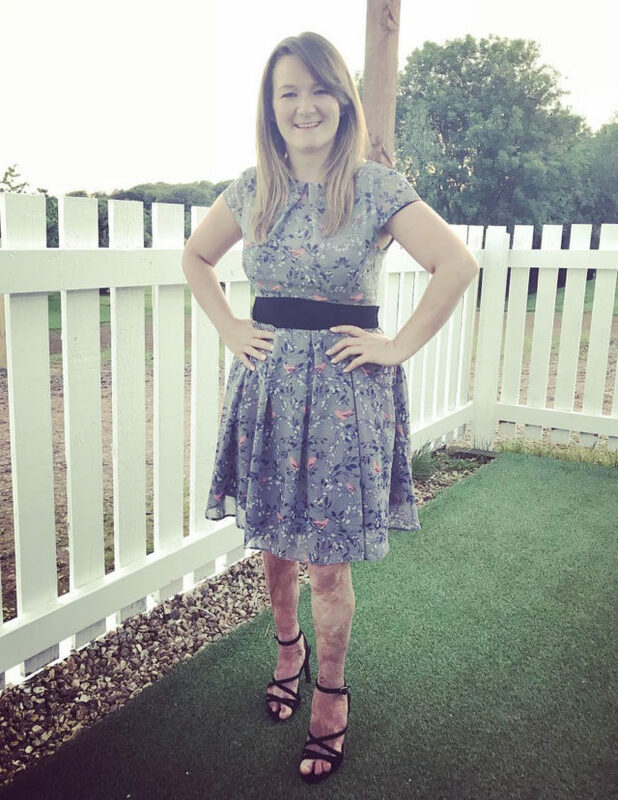 Laura hopes that by sharing her story she will inspire others to feel confident with their scars.